Often, the digestive disorder known as hiatal hernia remains silent. But if GERD symptoms develop, see your doctor to help quell the resulting heartburn. The heartburn you've been experiencing could be related a hiatal hernia (see illustration below). The diaphragm is a large muscle that separates your chest and abdominal cavity. The diaphragm contains an opening called the hiatus, through which your esophagus passes to connect to the stomach. In some people, especially those who are overweight, over age 50, or who smoke, the stomach bulges up through the hiatus and into the chest cavity—a condition known as hiatal hernia. A hiatal hernia can cause gastroesophageal reflux disease (GERD, or acid reflux) and, consequently, heartburn. 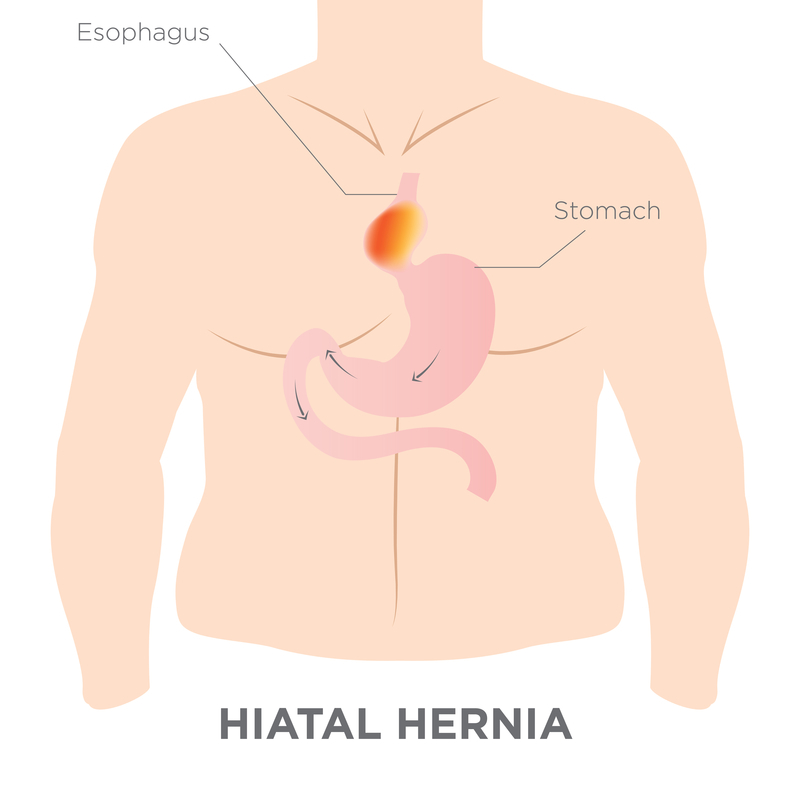 The majority of hiatal hernias are small enough not to cause symptoms or require treatment. 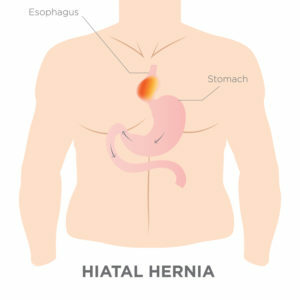 In some cases, hiatal hernias are discovered only incidentally during tests for another condition. However, if the hernia grows large enough, it can allow food and stomach acid to back up into your esophagus, causing the hallmark heartburn of GERD, as well as belching or chest pain. If you have more severe heartburn and GERD resulting from a hiatal hernia, your doctor may recommend a trial of medications known as proton-pump inhibitors (PPIs): esomeprazole (Nexium), lansoprazole (Prevacid), pantoprazole (Protonix), omeprazole (Prilosec), or rabeprazole (Aciphex). These medications help heal esophageal damage from GERD and relieve symptoms by blocking the production of stomach acid. 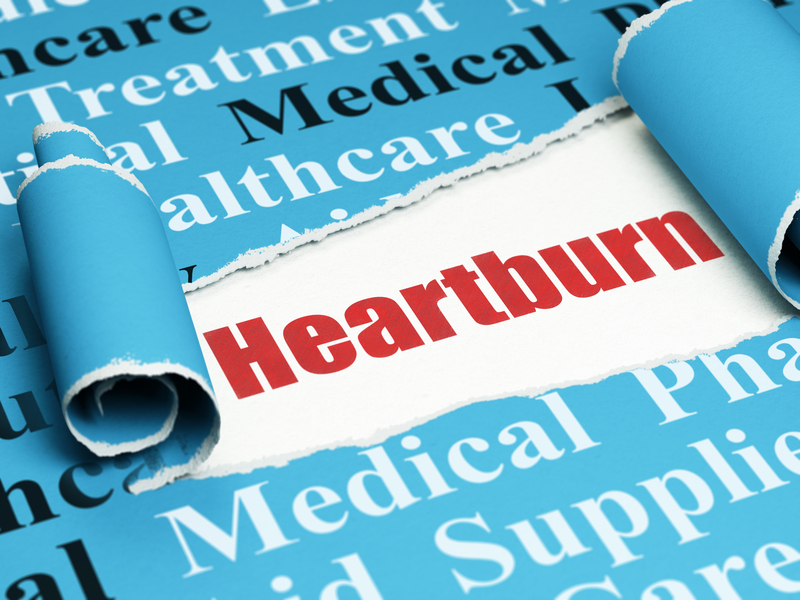 Patients who have milder, infrequent heartburn may find relief from over-the-counter antacids (e.g., Rolaids or Tums) or medications known as histamine 2 receptor antagonists (H2 blockers), such as cimetidine (Tagamet), famotidine (Pepcid), nizatidine (Axid), and ranitidine (Zantac). The H2 blockers, available over the counter and by prescription and used as needed, work more quickly than PPIs but aren’t as effective at healing esophageal damage. For patients with hiatal hernia who still experience heartburn and GERD despite medical therapy, surgery may be necessary. The surgeon will push your stomach out of the hiatus and back into your abdomen. The surgeon also may need to reduce the hiatus or strengthen the esophageal sphincter, the muscular valve separating the stomach and esophagus that prevents the stomach’s contents from regurgitating into the esophagus. 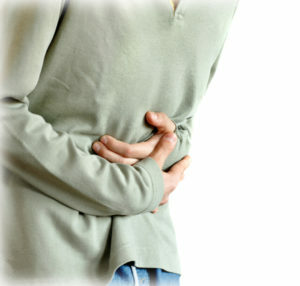 If you’ve been diagnosed with a hiatal hernia and you experience nausea, vomiting, pain with eating, or cannot have a bowel movement, you may have an obstruction or a type of hernia in which the stomach becomes squeezed, or strangled, in the hiatus (this condition rarely occurs) and you should see your physician or seek care urgently. A strangled hiatal hernia requires emergency surgery. If you’re overweight, work with your doctor to lose weight through diet and exercise. Obesity is a risk factor for hiatal hernia and GERD. Take a heard look at your diet. Limit your consumption of fatty, fried foods, caffeine, chocolate, alcohol, and mints—all of which can weaken the lower esophageal sphincter. Also, minimize your intake of citrus fruits and tomato-based products, which contribute to acid flare-ups. Refrain from eating large meals, and do not lie down within three hours of eating. If possible, limit your use of nonsteroidal anti-inflammatory medications, such as ibuprofen (Advil, Motrin) and naproxen (Aleve), which carry gastrointestinal side effects. Elevate the head of your bed or sleep on a foam wedge if you experience heartburn while you sleep. Minimize your consumption of alcohol, and if you smoke, discuss cessation strategies with your doctor. acid reflux, alcohol, anti inflammatory, belching, betaine hcl, bowel movement, caffeine, chest pain, chocolate, diet, disease gerd, exercise, food, foods to avoid, foods to avoid with heartburn, for osteoporosis, gastroesophageal reflux, gastroesophageal reflux disease, gastroesophageal reflux disease gerd, gastrointestinal, gerd, heartburn, heartburn medication, heartburn remedies, histamine, Lose Weight, muscle, natural heartburn, obesity, omeprazole, osteoporosis, pain, ppis, prilosec, reflux, risk for osteoporosis, severe heartburn, side effects, sleep, stomach acid, what does heartburn feel like. I was recently diagnosed with a hiatal hernia. The main reason for this – eating late due to late night at work. I’ve changed a lot of my eating habits and the results are visible. https://www.everydayhealth.com/hiatal-hernia/guide/ has helped me solve a lot of doubts related to my medical condition. Thanks for sharing.